Happening on 12 -13 September 2015 at the Marina Bay Sands Expo and Convention Center is the annual Singapore Toy, Game & Comic Convention (STGCC) 2015. So who is coming this year? Witness STGCC’s largest cosplay guest line-up to date with the participation of Stella Chuu, Saku, Kuryu & Nakoto, forming a 6 man strong cosplay squad alongside Jacky & Yui. Marvel’s exclusive penciler Jim Cheung was kept busy until recently with the all-new comic-book-themed poster for Agents of S.H.I.E.L.D Season 3. He will next pull all-nighters for his STGCC 2015 exclusive, which will be available at his booth. Adi Granov returns to STGCC! Added to his extensive “Iron Man” portfolio, is the classic phenomenon, Star Wars. Adi has remastered the covers of 2 Star Wars original graphic novels & will bring more to fans at his STGCC booth! Character designer and author, Yoshiyuki Sadamoto a.k.a The Legend, accompanied by Shigeto Koyama, animator for Rebuild of Evangelion and character designer of everyone’s favourite healthcare companion, Baymax! What about Adam Hughes?! The promiment “cheesecake comic artist” and comic book cover artist of the highest calibre has worked on Wonder Woman, X-Men and Star Wars! Everyone’s welcome to join his panel session. More guests will be announced soon so keep your eyes out for more updates! 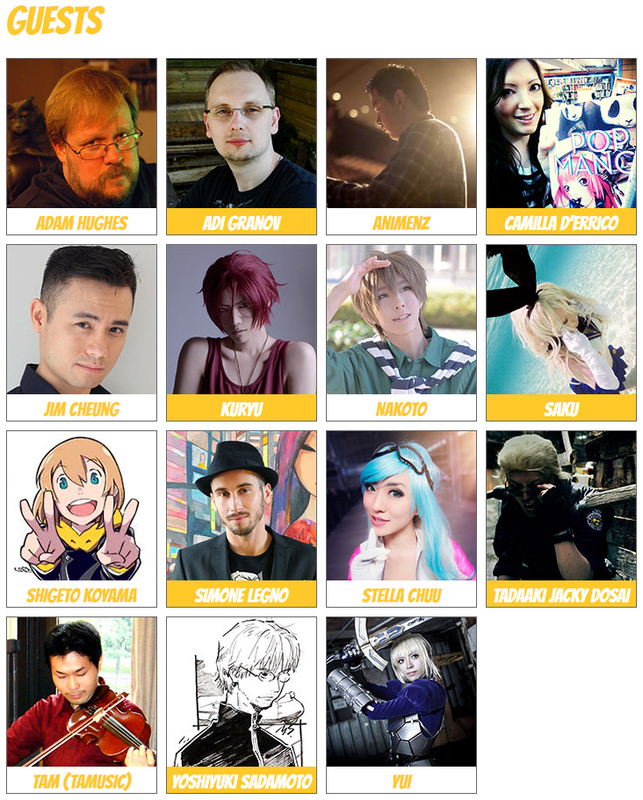 STGCC 1-Day, 2-Day and VIP tickets are now available for grabs. Click here for more info.